I have been practicing Nutrition from past half a decade. 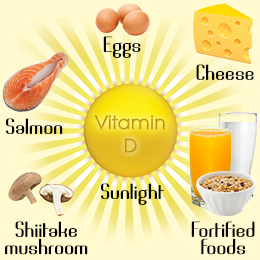 In early practice Vitamin D deficiency was found in elderly people. In recent years I have seen that young girls and boys of age 23-24yrs have low levels of Vitamin D levels. It feels strange that population of such a young age is facing this issues. Due to my personal interest, I investigated in my practice and I found only two major reasons for low levels of Vitamin D. One is inadequate diet and other is negligible sun exposure. Also required for bone mineralization. But such an important vitamin is available mostly in non-veg foods and dairy products. 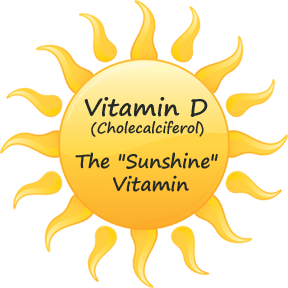 So along with dietary intake of Vitamin D it becomes immensely important to take Vitamin D from Sun. It’s a free source. I feel we should not miss it. I remember our parents pushing us to play in the open ground or under the sun. Even a new born infant is exposed too sun every day. If sun easy were that harmful then doctors wouldn’t be advising to repose the infants to sun. And now the time has changed. Parents don’t like their kid to play under the son. Reason? He might get tanned or he might have headache or he will start sweating. Are these reasons valid enough to stop kids from getting natural source of Vitamin D.
If we talk about adults, there is no scope of sun exposure among people who has 9-5 desk job. They leave from home before sun rise and while leaving the rays are not effective to activate Vitamin D. When you travel during the peak office hours, you will see that the selection of window seats is done on basis of sunlight. The seats were sun light falls gets filled at last. People just hate getting those extremely beneficial rays. I would suggest people who feel they do not have enough sun exposure due to lack of time. Make use of these seats which are blessed to have sun on them. Take full advantage of these rays while you travelling. If you have an excuse for this, then you body will also give you excuses for not working efficiently. Some people do not develop any symptom till the Vitamin D level reaches almost zero. Head sweating: This is a bit specific to young kids. If your kid has more than normal head sweating, please check his Vitamin D levels. It’s always better to take precautionary measure. So don’t wait for other symptoms to develop. Overweight or Obese: People who have higher body fat and higher muscle mass will require more amount of Vitamin D to the body to support its smooth functioning. There are very rare chances of developing toxicity of this fat soluble vitamin as the food sources are very limited and body will make Vitamin D only in the required amount. So unless you are supplementing Vitamin D in your diet via supplements there are very less chances of developing toxicity. If you take capsule of more than or equal to 4000IU then it becomes essential for you to check your blood Vitamin D levels every 3 months. 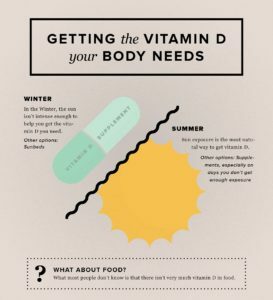 May I use your Vitamin D graphic for an oncology nurse presentation that I will be giving. If your permission is granted, I will reference your name and website on the slide, along with the words “used with permission” or “permission granted”. Thank you for your consideration. Using our website name and logo along with RD Neha Kava written on it. hi.i have been taking vit d,calcium and b12 supplement since last 6 months as my levels had gone down.but still if i dont take the supplemnent for 4-5 days i start having pain in my body.why so. i mean taking for 6 months also doesnt cure the deficiancy or what? It actually depends what were your levels. If it’s too low than take more time to build up good levels. If its 6 months and above so please check your Vit D and B12 levels again then continue your supplementation.